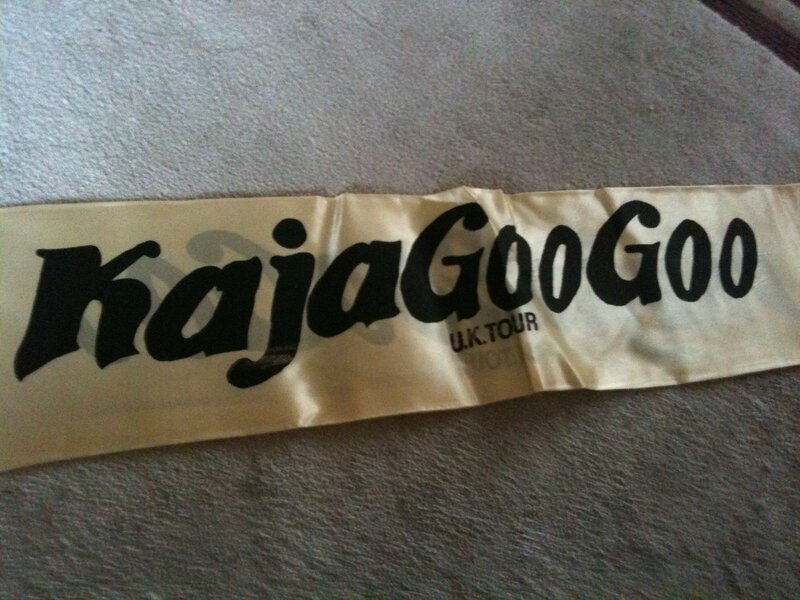 Here we have two KajaGooGoo scarves, purchased on the 1983 White Feathers tour. 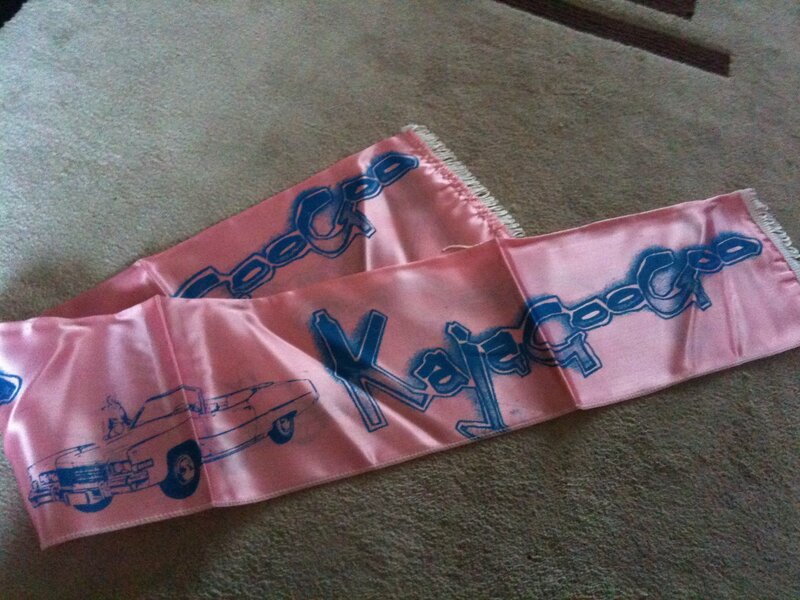 The first is the better known of the two items, it’s a pink and blue silk screen printed scarf, with the KajaGooGoo and car logos. This particular scarf was bought from the Cornwall Colisseum concert from St Austell, 28th May 1983. 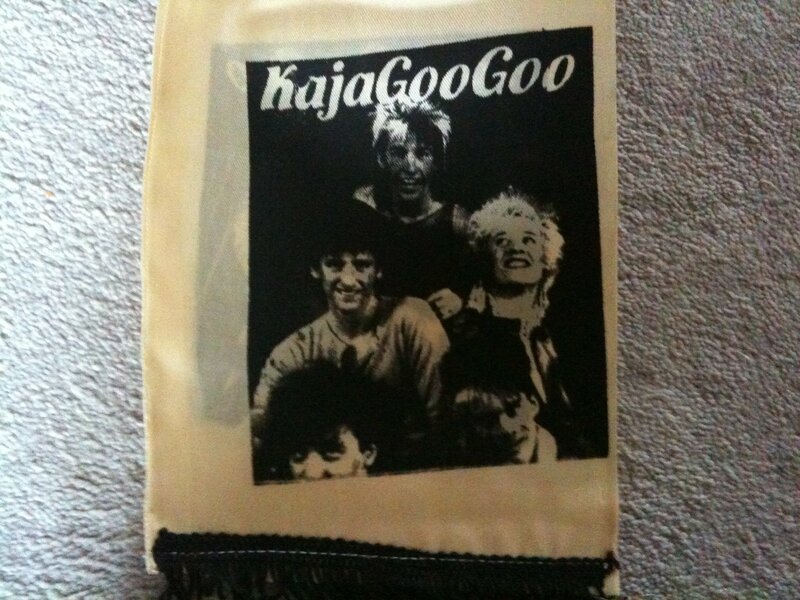 The second scarf is one I haven’t seen before, it’s a cream/black scarf bearing the KajaGooGoo name with ‘UK Tour’ underneath and a band image at either end. 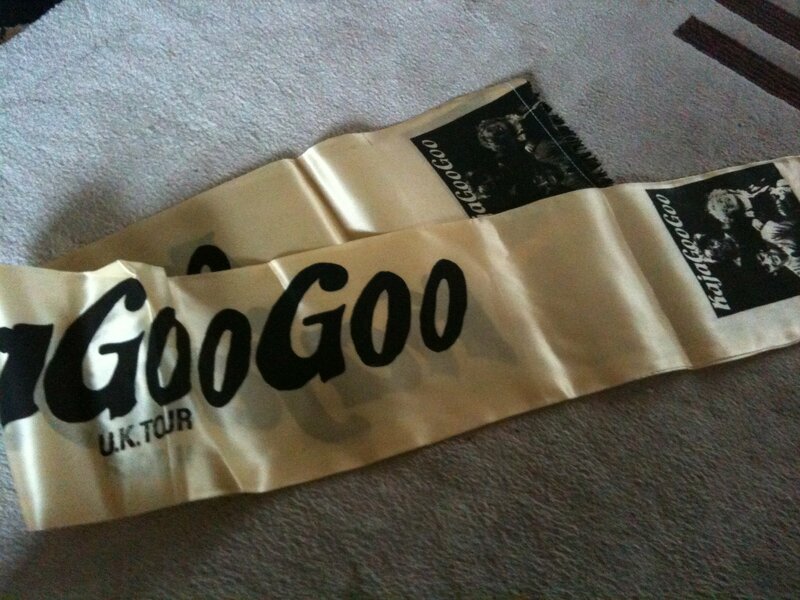 This scarf was purchased from the Manchester Apollo leg of the tour, 19th May 1983. Are these official or bootleg? That is the question and I have no answer to it. They’re both in excellent unused condition and make great interesting collector pieces. If you know where they were purchased, an easy way to tell if they are legit or not is if they were purchased from inside the venue or outside. If it was outside then they are bootleg. This was common at concerts at the time and something I haven’t seen since the late 90’s. 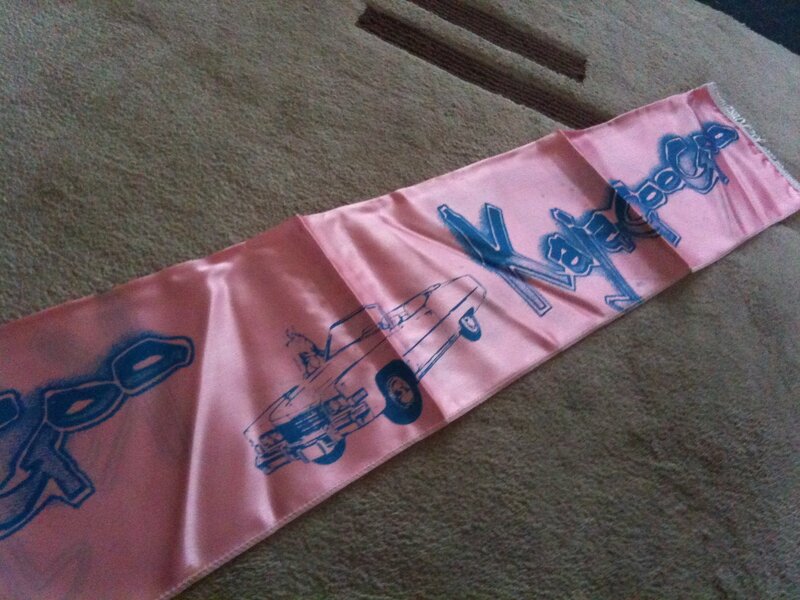 I have the pink one above. It’s very well made. I also have 2 others. One is very poorly made and has a picture of each members face on it with the legend “EURO TOUR” on it. 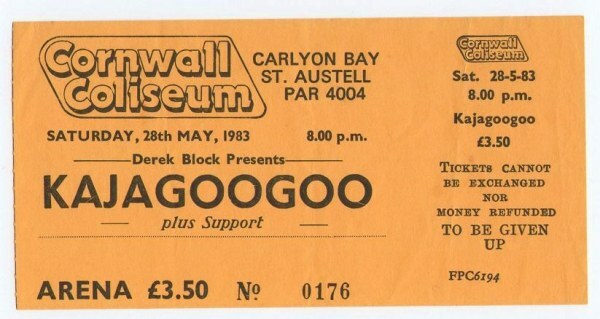 The other is also well made and says “White Feathers UK Tour 1983” on it. As none of these appear on the official merchandise sheet from the tour I have no way of telling if any of them are official.